Zabuyaki official site and blog. Zabuyaki retro beat 'em game supports up to 3 players. We are looking for musicians for Zabuyaki game project. UPDATE: We have found the musician. Meet Juhani Junkala. 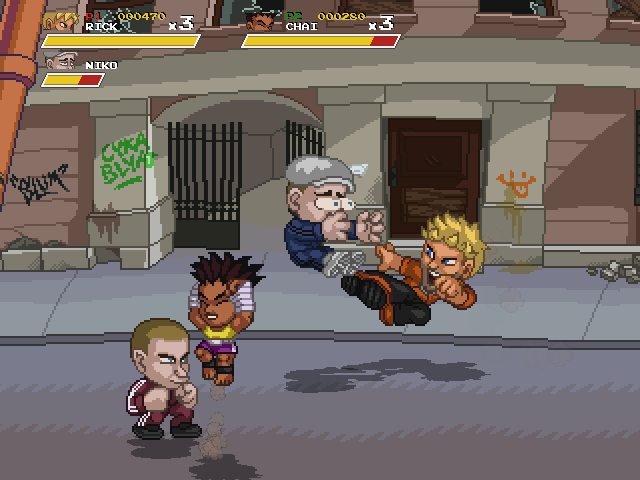 A friend and I started working on a beat 'em up project in February. Our game is free, open source, and cross platform. No money to be made here, just pure video game passion. We're looking for a musician who is motivated and available. Someone who keeps in touch with us and doesn't leave us hanging. Preferably someone who makes tracker music (.mod, .xm...), to keep things oldschool and lightweight, but that's not a requirement. If this sounds good to you, feel free me to contact Stifu with your portfolio by mail to stifu at free dot fr. Thanks! Read more about We are looking for musicians for Zabuyaki game project. Originally this comic was posted on 04 March 2006. 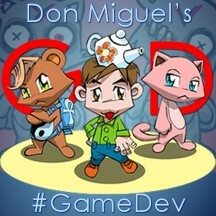 We are working on a very simply game for twitter users. Its working title is BATAGA. 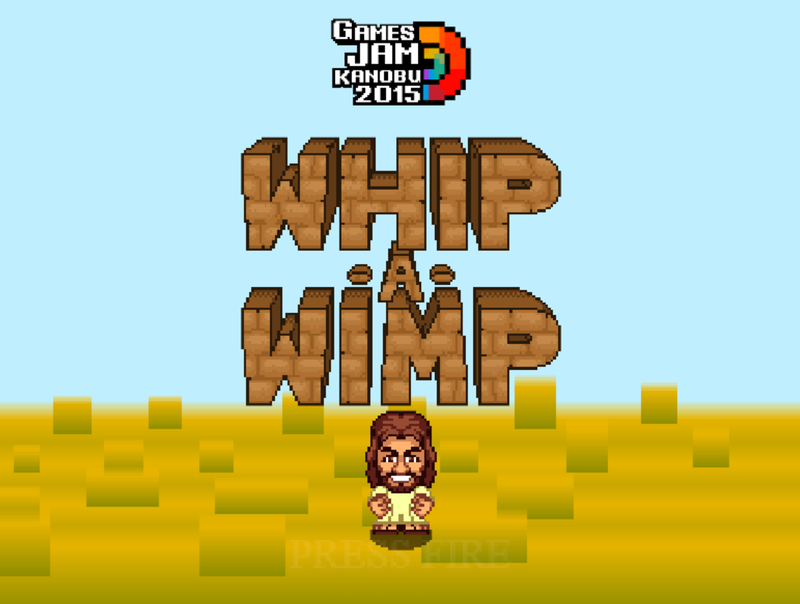 We participate in GamesJamKanobu 2015 fest (Russia). Vote for us and leave your ideas in the comments. The game (ex-Spiffy Plush) was finished in time. I'd like to wish merry X-Mas (it's on 6 January here, in Russia) and happy New Year to every single artist or an indie game developer in the world. May this new year bring you more gamedev joy things. Today our entry 'Deadly Caves' took the tenth place at Pandora Rebirth Competition 2012. I'd like to thank quasist, Hahahoj, seb3 and Evil Dragon for everything. Super Plusha has been added to pledged nD games list. We are working on some ports now. Our game entry Adamant Armor Affection Adventure's got 2nd place at RIOT Tag-Team Coding Competition 2011.